Originally built in 1790 by the Macy family as a livestock barn, it was discovered in 1929 by Gertrude and Hanna Monaghan (below – Hanna on the left and Gertrude on the right) as they followed a herd of cows up Main Street. From an affluent, yet unconventional, Quaker Philadelphia family, the sisters were both unmarried and artistic. Their parents, who indulged their talents, helped them to buy the barn property, which they intended to transform into a summer home and art studio. 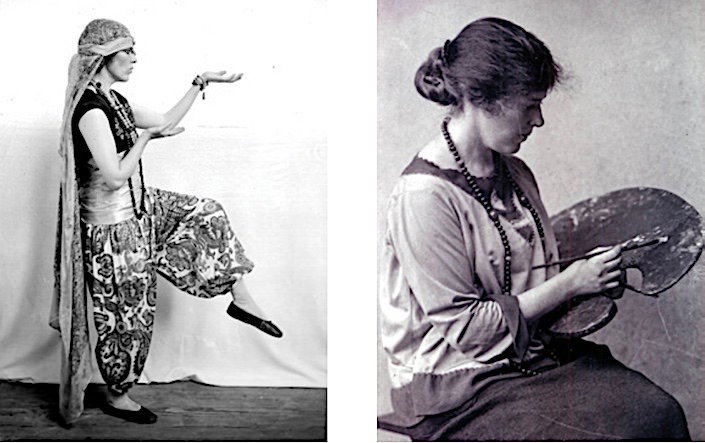 Gertrude had attended the Pennsylvania Academy of Fine Arts, where she had won several awards while the younger Hanna was an amateur actress and author. 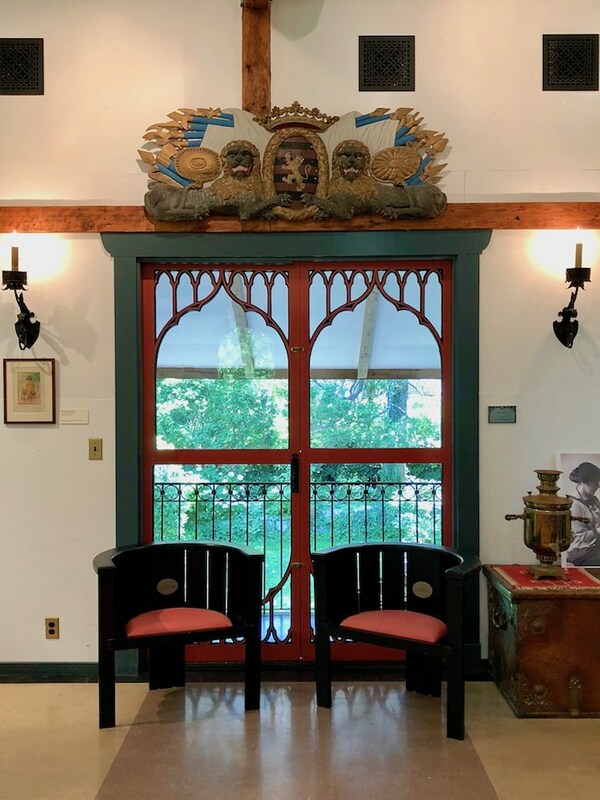 Together they had a history of collecting architectural remnants, from iron gates to gilded columns and odd windows (bohemian scavengers with a pocketbook), many of which found homes in the barn conversion. As they carefully made detail plans for their dream vision, pieces began to serendipitously fall into place. 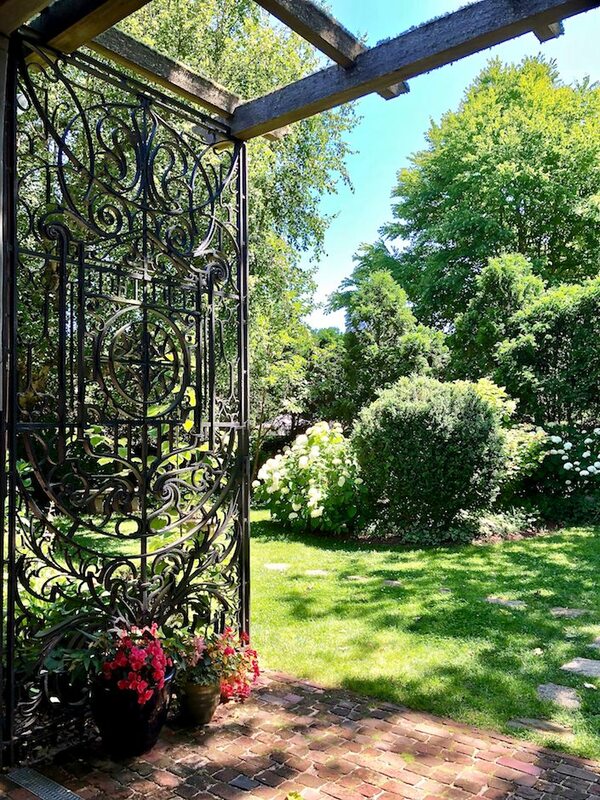 Twelve-foot high wrought iron gates that Hanna had previously purchased from a junkyard fit perfectly as the segue from barn to garden, below. 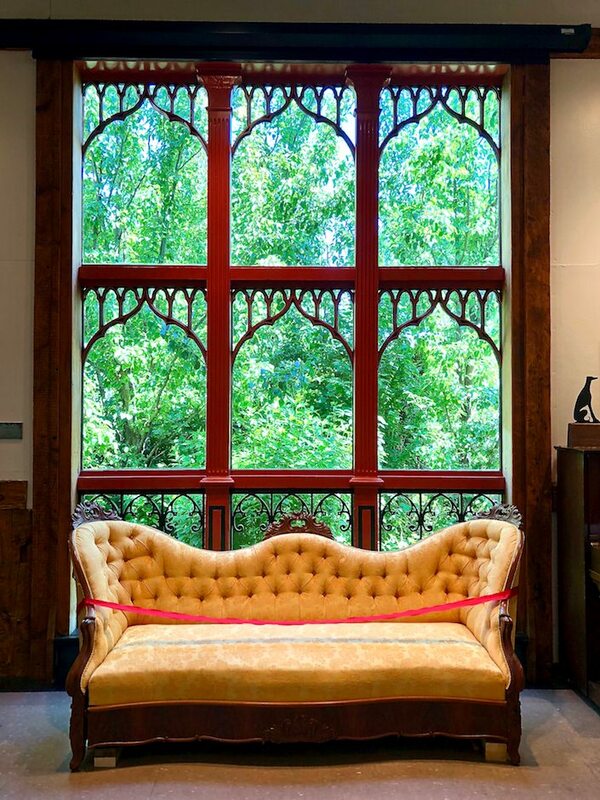 Wrought iron balconies and and stained glass windows, as in the bedroom, below, that were on their wish list, were miraculously found at buildings being demolished and other unlikely venues. 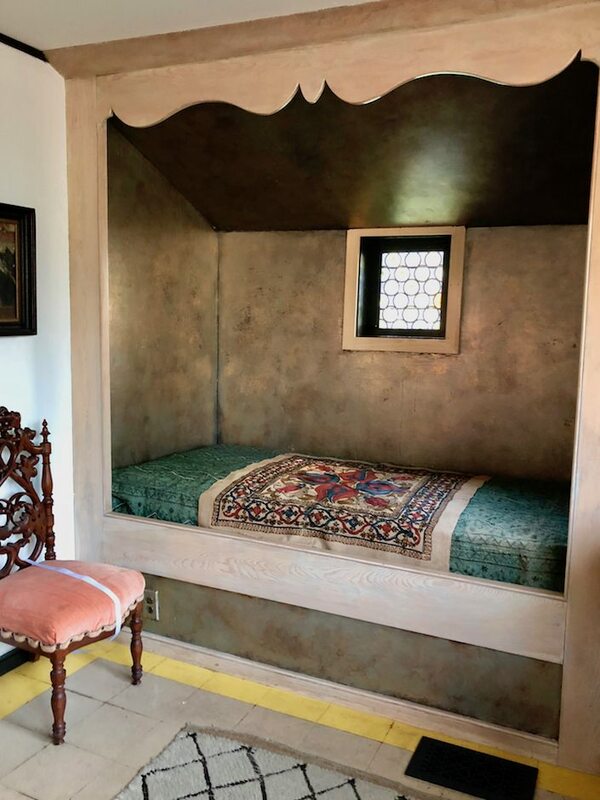 The niche bed with a decorative cornice, below. 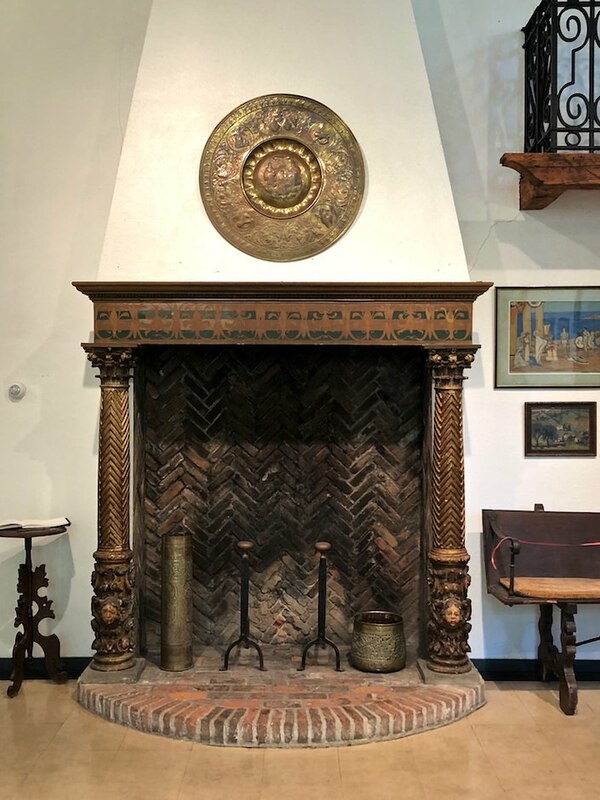 They designed the fireplace in the great room, with a semi-circular raised brick hearth and seven foot high opening, supported on either side with gold columns. You can start to get a feel for their exotic taste, very untypical for early 20th century Nantucket. The door to the balcony, below, is made of four church windows, embedded in red painted frames. But before all of this was constructed, the two sisters had painstakingly planned it out, drawn it to scale and made into a minutely detailed, accurate model with tiny pieces of cardboard, which Hanna carefully transported to Nantucket in a hat box. They were discouraged by the local carpenter who built the house for them, insisting he could build something newer, nicer and less expensive, but they stayed true to their vision. 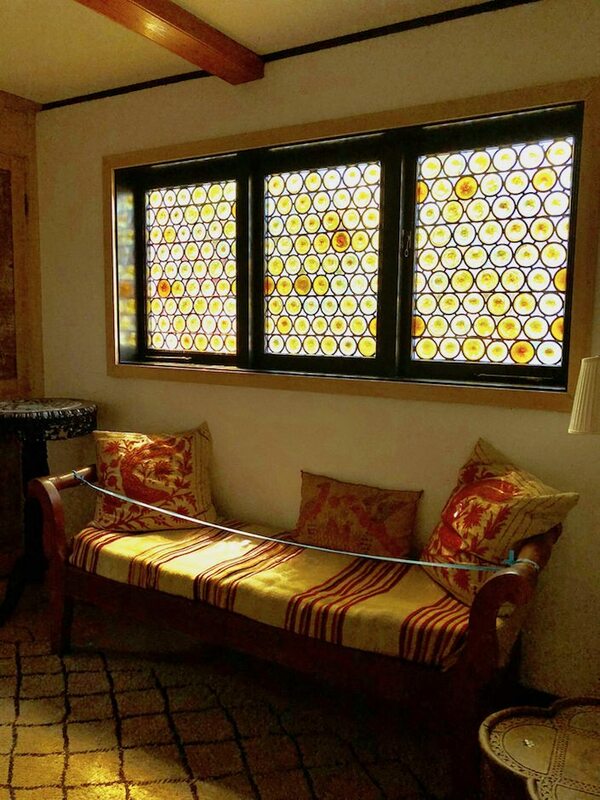 Every single element of the home was designed by them and the result is a magical and harmonious whole reflecting their very personal and artistic aesthetic. This entry posted in architecture, art, interior design, Nantucket, travel. Entry Tags: Architecture, historic house, history, interior design, Nantucket, Nantucket Historical Association Bookmark the permalink. Wonderful article. Love meeting women from the past with such a cool vibe, and yes so unlikely on Nantucket back then. Thanks. Love this history, such amazing women for their time. I can’t wait for the NHA event, I’m attending for the first time and am so looking forward to it. Please say hi if you see me and I am speaking at an event Saturday morning – hope you’ll come! A fabulous place. Such great textiles too. Would it be possible to do an At Home video here? My girlfriend and I love Nantucket and reading about it is the closest thing we have to being there. Hopefully, we can get back someday. It will be even more wonderful after learning so much more about it from your blog. What an interesting post, Stacey!!! Thank you! 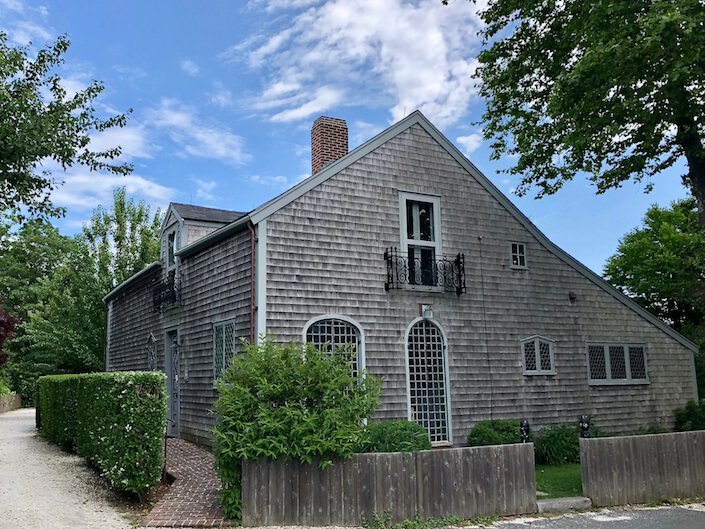 If you visit the nha.org website you can learn all about this property and the others that the Nantucket Historical Association owns. That looks amazing. I love the aesthetic of the textiles and the “historical feel” of it. Kudos to you for sharing this incredible place. Very interesting interiors, maybe I prefer modern style but this home looks so cozy and comfortable.